The latest edition of WWE Raw emanated from Chicago. The show kicked off with the return of The Beast, Brock Lesnar. Paul Heyman addressed the WWE Universe, berating Seth Rollins and calling his match against Drew McIntyre a huge mistake on Rollins' part. 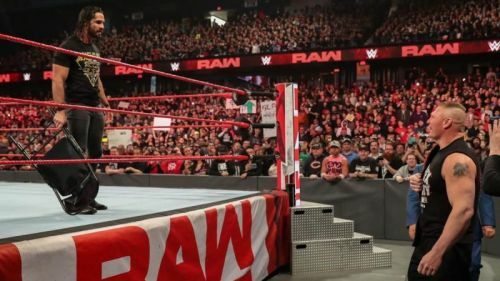 WWE ended up disappointing the fans by revealing Angle's opponent to be Baron Corbin. The rumor mill ran rampant this past week, with fans speculating that a returning John Cena could be Angle's WrestleMania opponent. After what happened on Raw, chances of a Cena return at WrestleMania seem bleak. Not everything went wrong tonight though. There were a bunch of things WWE ended up doing right. Let's take a look at 4 of those instances. 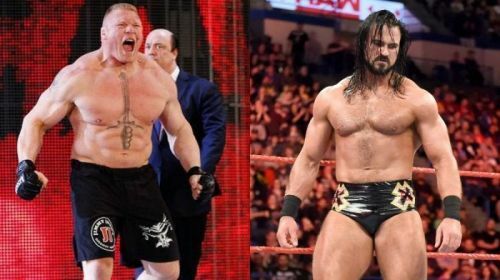 There was a time when the idea of a match between Brock Lesnar and Drew McIntyre would have been laughed upon. This isn't the case anymore. The Scottish Psychopath reinvented himself in TNA, and came back to become one of the most ruthless heels in WWE. Tonight, McIntyre came out during Heyman's promo, confronting Brock Lesnar in a rare visual. This might not go anywhere come WrestleMania, but there's a chance that WWE might build a program involving these two behemoths after WrestleMania, or sometime in the near future. It didn't take long for Rousey to dispose of Dana Brooke, possibly breaking her arm in the process. Rousey went off on the security, that came out to separate Ronda from a helpless Brooke. 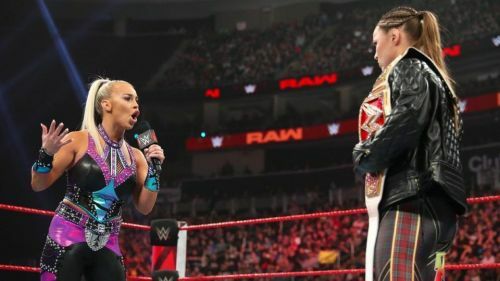 Ronda's husband Travis Brown, who was sitting at ringside, proceeded to knock out a security personnel, and the duo left the arena amidst a sea of boos. Rousey has been nailing her role as a menacing heel. Although we didn't get to see Charlotte and Becky tonight, it's clear that things are going to get heated up beyond anyone's comprehension as WrestleMania rolls around. This has been one of the most intriguing build-ups in recent memory, and it would be a shame if the women's triple threat match doesn't headline the grandest stage of them all.